Join us Tuesday, September 11th, at 7:30 pm, for a public screening of Moving Stories at Robert F. Wagner, Jr. Park. The Wilderness Films documentary about Battery Dance’s work with young people in India, Iraq, Romania and South Korea will be followed by a Q+A. Looking back 17 years, some of us at Battery Dance were here when the towers were attacked and our building, operations and states of mind were impacted as the area was closed off in the “Frozen Zone”. We turned to dance and music to help us process the trauma of death and destruction on our doorstep. We staged a tribute on a traffic island in our neighborhood with musicians from India, Lebanon and the U.S., and with Tadej Brdnik from Slovenia as the dancer. Upon hearing the music, people came out of their houses and experienced the catharsis that the non-verbal, primal experience of dance and music offered. 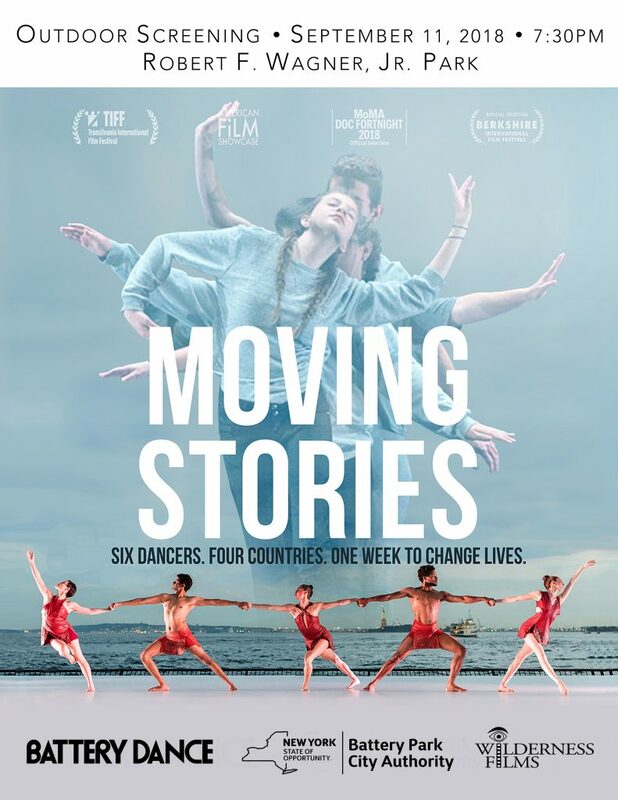 Moving Stories is a deeply touching film about the resilience of youth and the power of dance to change lives. We hope you will attend the screening next Tuesday and help us fill the park as the towers of light fill the sky. Click here for more information and to watch the trailer.